If you’ve ever had the desire to walk where Jesus walked, have your faith strengthened and built up by visiting these locations, and just enjoy a spiritually uplifting trip with fellow Christians, we would enjoy having you with us. We are in the very early planning stages, but our departure date is slated to be Monday, April 4 and return date Friday, April 15 (to arrive back in the US on the 16th). We will stay in Caesarea, then in Tiberius (on the Sea of Galilee), then on to the Dead Sea, and finally in Jerusalem. Jon Moore will also be with us – he will be a wonderful asset in instruction and teaching. We are also excited to work with our guide Tsvi again. Our plan is to have a website up and running very shortly where you will be able to see details as they become available. In the meantime, mark off the dates of April 4-17, 2016 and plan to travel with us! If April is impossible for you – we hope that this will only be the first of many tours to come, so maybe you can travel with us later. Please join with us in praying about this effort. Our trip was truly a life-changing experience for me. Of course – one doesn’t have to travel to Israel in order to have a deep and abiding faith! But for me, the Bible came alive. I know it will for you as well. 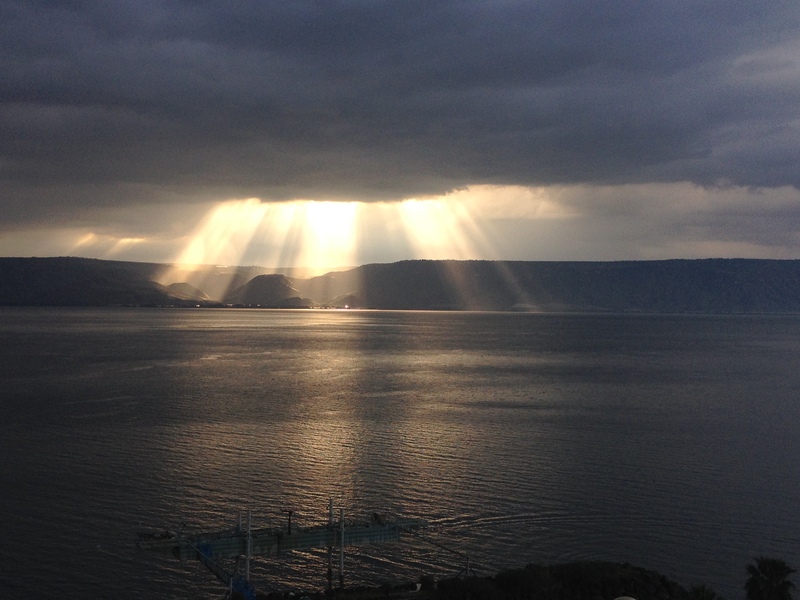 Tiberius, on the Sea of Galilee…I took this with my iPhone from our balcony. Don’t you want to see this beautiful Sea? Previous The Bible Lands Project Is Just Beginning! Next We’re Going Back…Want To Come With Us? Hello, i would be so glad to be there! but how can i make it there when i am not residing in your continent? i am a studying and currently residing in Ghana (Africa-continent). Any help or info on how to go about . I would love for Wendy and I to go. I still remember when brother Moore taught us Bible Archeology, or something along those lines), some 20 years ago. He had not been to Israel nor to the school he went to, and his passion then was very evident. It was a tough class due to the amount of information, but I learned a lot, and I still remember a lot from that class. While I never really thought about going to Israel, your blogs have inspired me in wanting to go. I appreciate all your hard work!